How do we do know? Simple: from the moment you do one of your many daily Google searches, Google tracks what you type and where you navigate online. 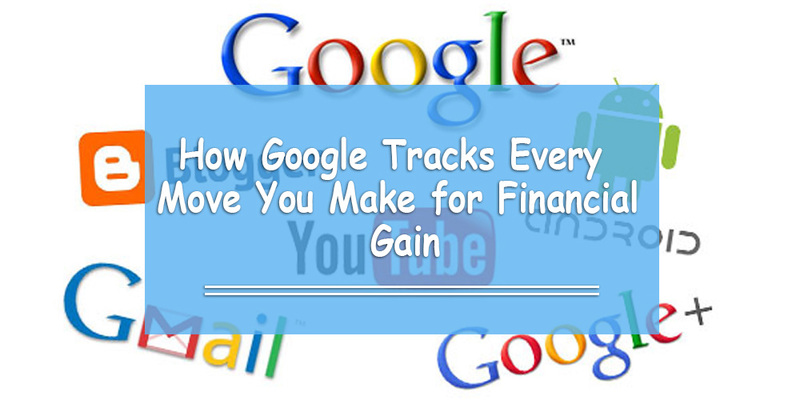 From the moment you do a YouTube search, Google tracks what you click and watch. From the moment you go from Point A to Point B using Google Maps, Google tracks where you go. In fact, they can find out where you are right now if you still have the Google Maps app switched on. This doesn’t even take into account other Google features. What type of phone do you have? If you have an Android, think about what Google might be able to track: your contacts, what online apps you use, etc. Which web browser do you use? If you use Google Chrome, think about all of the cookies Google saves while you’re on that web browser. For those who don’t know, cookies are small amounts of data collected from websites to remember information about you. For example, if you log into Facebook using Google Chrome, guess what: Google has your Facebook’s login information and can most definitely access data from there (public or private). Google knows everything about you. Google knows so much about you that they can give people customized ads based on your online behavior. 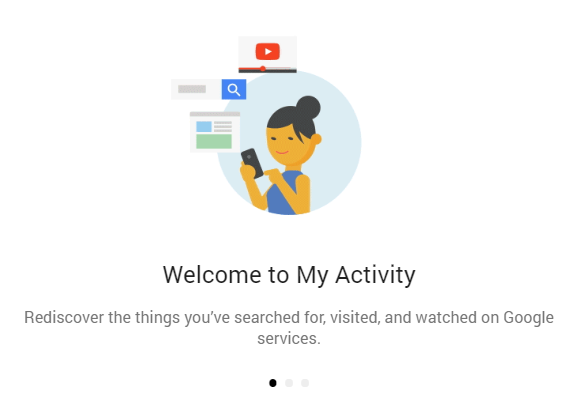 In fact, in 2016, Google added a new feature called Google My Activity. It tracks nearly everything you do online. Here’s a little fun activity for you or your child to do. What do you see? A beautiful representation of most of the things you’ve done using Google applications. This includes your browsing history (if you use Google Chrome), YouTube videos you’ve watched, location history, and even voice/audio activity! We need to reemphasize this point: Google knows everything about you. So, why exactly do we need to talk about Google My Activity now? In the second half of 2016, Google switched its default setting for all new accounts to opt-in to ad tracking features. Let’s say you’re renting an apartment in Dubai with your family, and you’ve saved up enough money to buy your own house. You do a Google search on ‘houses for sale in Dubai,’ you watch a couple of YouTube videos about the steps you need to take, etc. It sounds innocent, but if someone had malicious intentions, people could socially engineer and manipulate people. Google My Now Tracks Your Kids, Too! Let’s take it a step further. Let’s say your child is using the Internet more. They do research for school projects using Google search, they’re on social media (which means they’re on YouTube), and Internet consumes more of their free time. Google now tracks your child’s activity, and they will eventually come across ads directed towards them. Again, these ads will be based on their own interests and Google My Activity history associated with all their Google-related profiles and applications. What You Can Do about Google Tracking You? According to Internet consultant Phil Bradley, there are a couple of take-home points people should be aware of regarding Google and Google My Activity. He starts off by saying that Google is not just a search engine company; it is also an advertising company. The way Google makes money is to display advertisements to people who are more likely to click on the links they show us in their search results. If you opt-in to Google My Activity, you will get customized ads based on what Google thinks is useful for you. You can opt-out if you wish; just go to your Google My Activity page and go to Activity Controls. 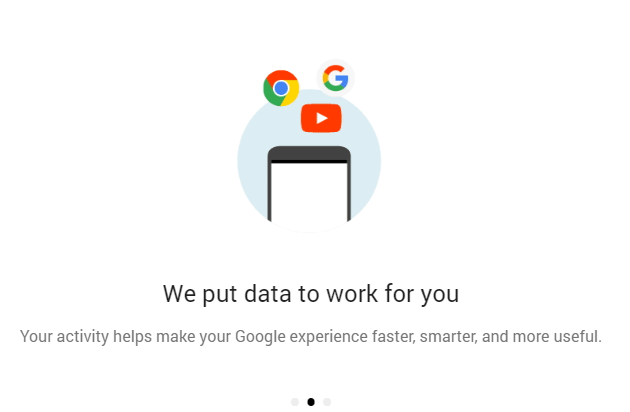 Keep in mind that Google can still track what you do as long as you still use Google products. You can opt out of the customized advertisements made for you, but that doesn’t mean you won’t still be tracked. The best advice he (and anyone else) gives is to stop using Google. This is extremely hard to do, as Google has pretty much become embedded in our society and the way we efficiently do things. Plus, their products are free for consumers. 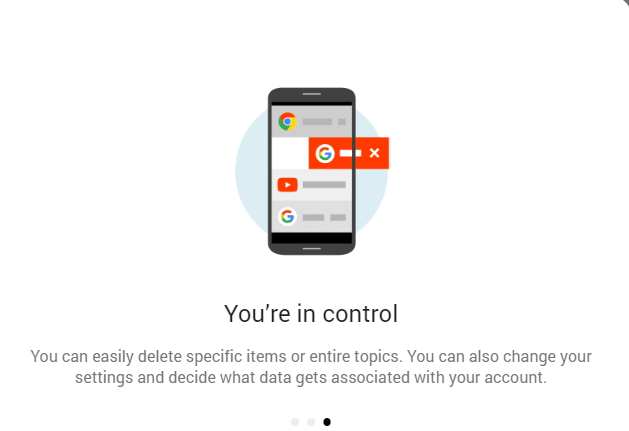 Unfortunately, the trade-off of preventing Google from tracking you is to prevent yourself from getting access to all the useful products Google provides us all. Online privacy matters a whole lot to us as digital citizens, and Google learns more about us every day as we insert more information into their applications. Not only do they track what we type in their search engines, not only do they know all their browsing history, but they are making decisions that move away from our interests (i.e. privacy) and more towards companies who are paying them. Sure, this helps them grow as a company, but what does this mean morally? • What else do you think we can do to impede Google from learning too much and taking advantage of us? • Would you rather live a life where Google knew everything about us, or a life where Google products (and other major social networks and corporations) didn’t exist at all?